Ai Editorial: NDC 17.2 – is it the solid foundation this standard was looking for? 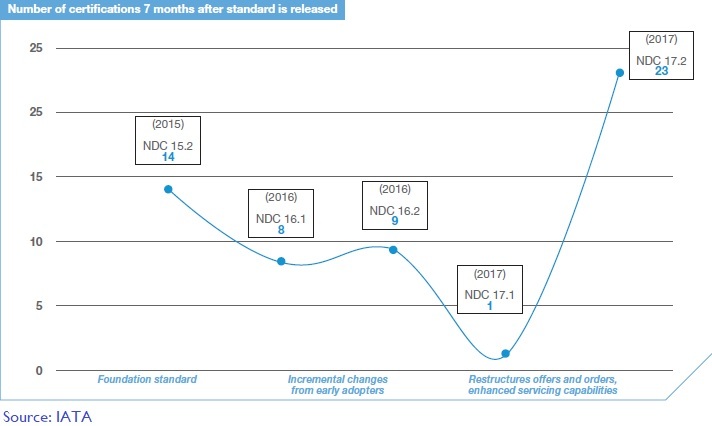 The adoption rate of IATA’s New Distribution Capability or NDC has been under scrutiny over the last couple of years. As it turned out, too much flexibility in the initial versions of schema and implementations not being the same was one area that needed to be sorted. The last year or so has propelled the status, especially with the introduction of NDC 17.2. “It has set the tone for industrialization and mass adoption of the standard,” said a senior executive associated with a travel technology company. NDC 17.2 (which refers to second update in 2017) has strengthened the initiatives that started last year. It has made progress in terms of bringing into line the Offer and Order structures in the NDC schemas to pave way for a dependable understanding of the standard. There have been enhancements to Shopping, Seats and Order Servicing capabilities. 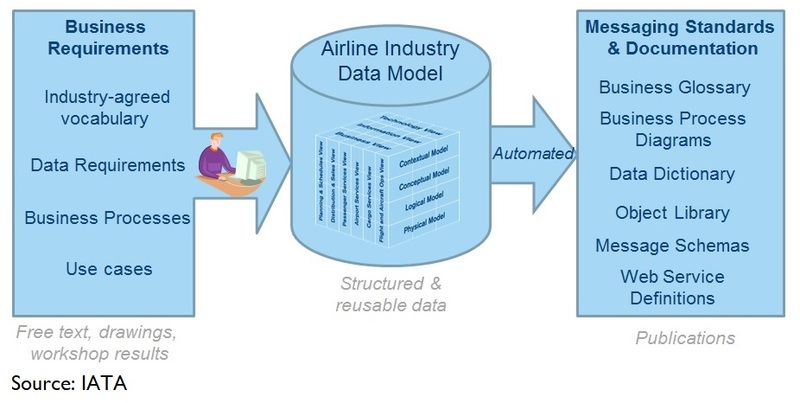 Another highlight was the deriving of the maiden data structure from a new Airline Industry Data Model (AIDM). “Progress has been made in terms of functional capabilities (that streamlines the workflow for the travel agency channel) and along with this added features are going to be based on the data model (an infrastructure undertaking for supervising the advancement of messaging standards development capability at IATA). This would help in further evolution of the standard in an automated manner,” said a source. The data model is expected to augment interoperability across the sector. Also, it will result in faster time to market of new or changed data exchange standards and relatively quicker utilization of the standards. Also, according to IATA, there has been removal or renaming of messages and additional schema enhancements and technical cleanup items. According to IATA, the maiden message associated with the data model that appeared in 17.2 was related to Baggage Logistics and Conformance Services. Release 18.1 contains new models for Offers, Orders, and Seatmap delivered by the NDC AIDM Alignment project as well as models describing aircraft semi-permanent data developed by a project building new XML messages. Next release, 18.2, is expected to include all models developed as part of NDC AIDM Alignment as well as those related to ONE Order. With this data model, each message development project can capitalize on current models formulated by other standards groups to generate interoperable messaging standards faster and with higher quality. “From here on, there won’t be any than any fundamental redesign of the schemas,” said a source. This is a positive development as aggregators/ intermediaries like GDS, meta-search engines and travel technology companies had raised questions in the past. This was mainly owing to NDC messages being re-factored, resulting in a complex scenario. “With sharpening of NDC schema description (schema are set of words that could be used in various ways and this was resulting in flexibility and in the eventual analysis different implementations), the utility of the implementation guideline (best practices for understanding the booking flows) and the contribution of the data model (to avoid the discrepancy owing to inconsistent definitions), the stage is set for a solid foundation to build on. There has been a synchronization at large among various stakeholders post the introduction of NDC 17.2 and what’s in store with versions (NDC 18 and NDC 19),” mentioned the source. The NDC 18.1 features modifications incurred from the alignment to the data model and complete amendments from this initiative are set to be finished by 18.2, scheduled for release in the third quarter of this year. “In terms of consistency, any update after 17.2 would have core functionalities of this version. So this means that an airline can skip immediate versions and straightaway work on a release after that since 60-70% of the functionalities would still be retained (say between 17.2 and 19.1),” explained an executive. This essentially points out to the fact that various data element names and concepts would follow the data model rules/ instructions rather than any core redesign of the schemas or the way they serve.